ITALY is one of the countries in the Mediterranean most at risk of being hit by “dangerous” tsunamis with waves “higher than one metre”, a new study has revealed. Experts working at the TSUMAPS-NEAM project found which areas movements of the underneath plates can generate the strongest earthquakes – triggering as a consequence devastating tsunamis. 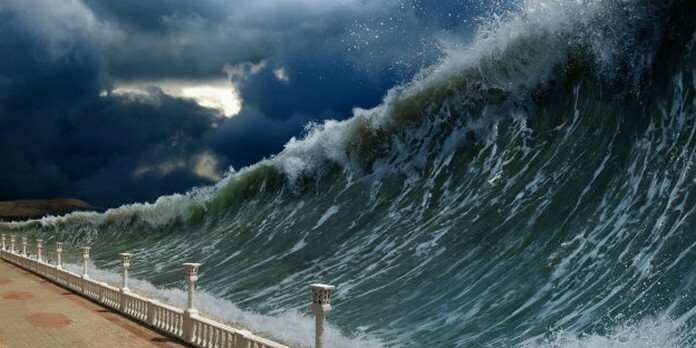 In the so-called NEAM, the Mediterranean and North-East Atlantic area, there are three areas prone to tsunamis. These areas are the Greek Arc, from Kefalonia to Rhodes, Cyprus, which reaches up to Lebanon, and the Calabrian Arc. In Italy the greatest danger is in eastern Sicily and Messina, Salento, Calabria and Basilicata… However, the rest of Italy has not been deemed safe either by experts. 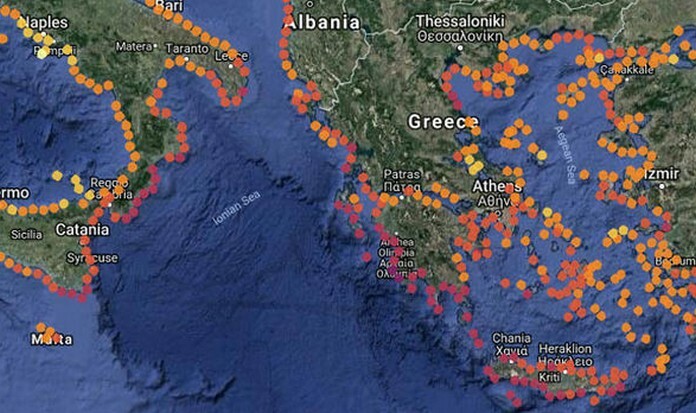 On the western side of the Mediterranean are located other areas considered at risk, despite the chances of a tsunami taking place there are much lower. These areas include southern Sardinia, Sicily and the Ligurian Sea, because they are sitting on active faults on the North African coast. The eastern part of Italy sits on the Adriatic Plate, a small tectonic plate that broke away from the African plate millions of years ago, ion the Cretaceous period. 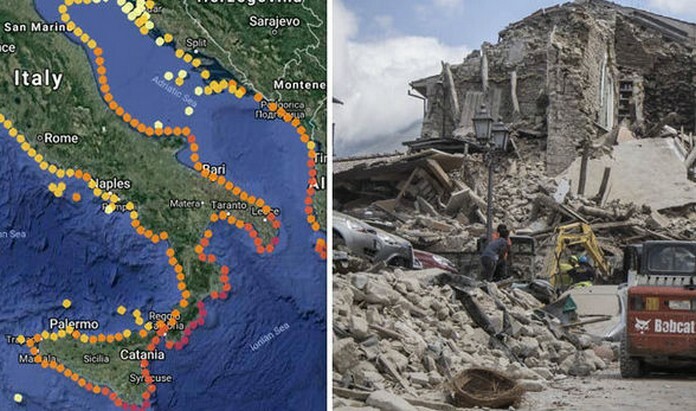 Its movements have triggered some of the worst earthquakes to ever hit the country, including the 6.3-magnitude earthquake of L’Aquila on April 6 2009. Despite tsunamis in the Mediterranean area are less common than in Asia, Mr Basili warned they are not to be overlooked.